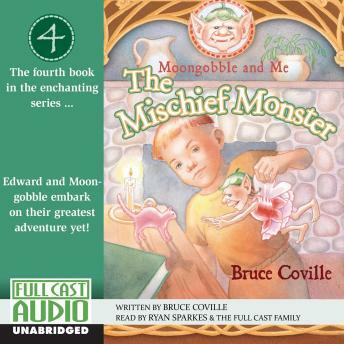 Moongobble has completed his three Mighty Tasks, and Edward begins to fear that their adventures might be over. But before life can become too quiet an annoying little monster named Snelly comes bounding into their lives. As if Snelly wasn't trouble enough, Moongobble's magic has gone wrong again, causing his faithful toad, Urk, to undergo a very embarrassing change. Soon Moongobble, Edward, Urk, and Fireball the Dragon must begin a fearful journey to return Snelly to her home. They'd like to bring along the Rusty Knight, but he's gone missing! How the threads of the story come together make for another merry, magical listening experience that will delight Moongobble's legions of young fans!